Includes the ABCs, Numbers and Shapes. 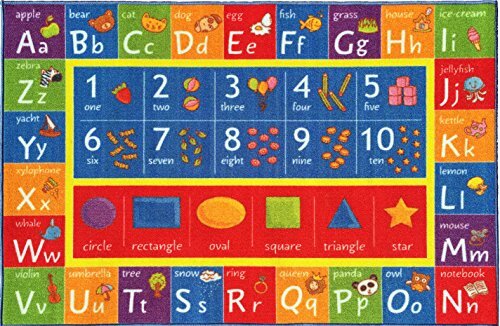 The 8 x 10 size learning carpet is a great fit for any preschool, kindergarten, elementary school, daycare or your town library. Fun and educational rug. Perfect to teach your child or toddler the alphabet in an interactive way with memorization games.